What to do with souvenir bookmarks? As well as being Canada’s “most magnificent bookstore” (according to the late Allan Fotheringham), Victoria’s Munro’s Books also has some of the most beautiful bookmarks around. I have a nice collection that I’m aiming to recycle or repurpose as part of my decluttering mission. So, what to do? I thought I might collage a shoebox with them, which I could then use to store other memorabilia. Not a bad idea. A friend suggested some others: Make, a fan, a floor-to-ceiling stripe on my wall, a bracelet. And that’s without even checking Pinterest! 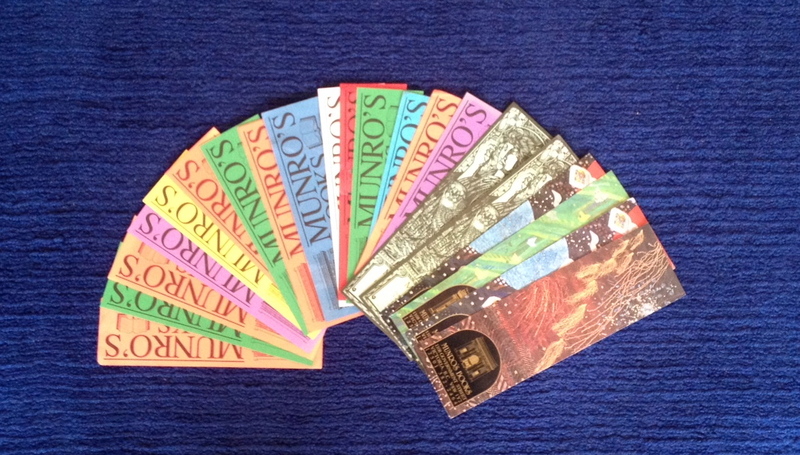 Many possibilities…Munro’s tells me they have some new colours in too. Tempting, though contrary to the decluttering mission. What I learned…Had to try a whole bunch of different things (cutlery, various pieces of jewellery and knicknacks) before finding something that made a good impression in the wax. Finally settled on a brooch and an earring. 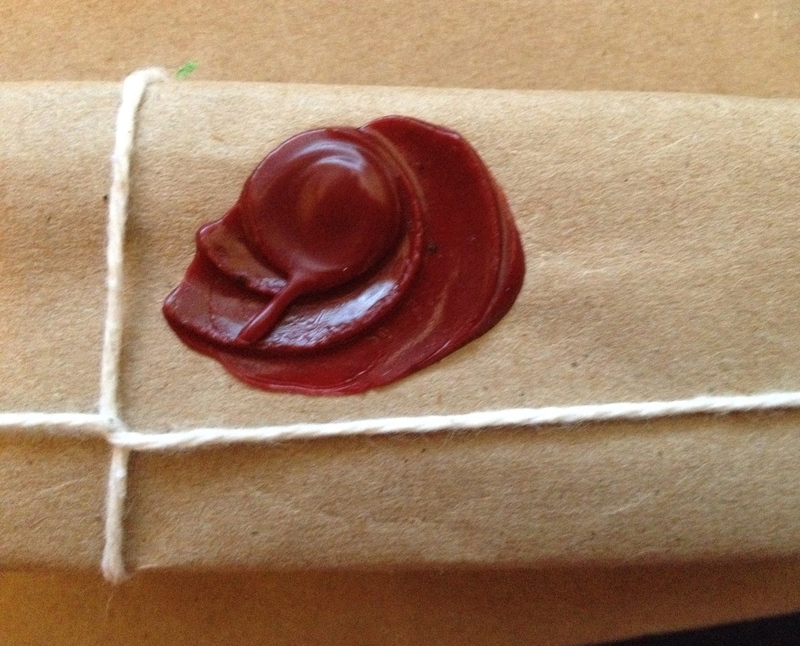 The wax doesn’t stick, unless the pattern is intricate, as in the rectangular example above. Made a big mess, burned a finger, but had fun. 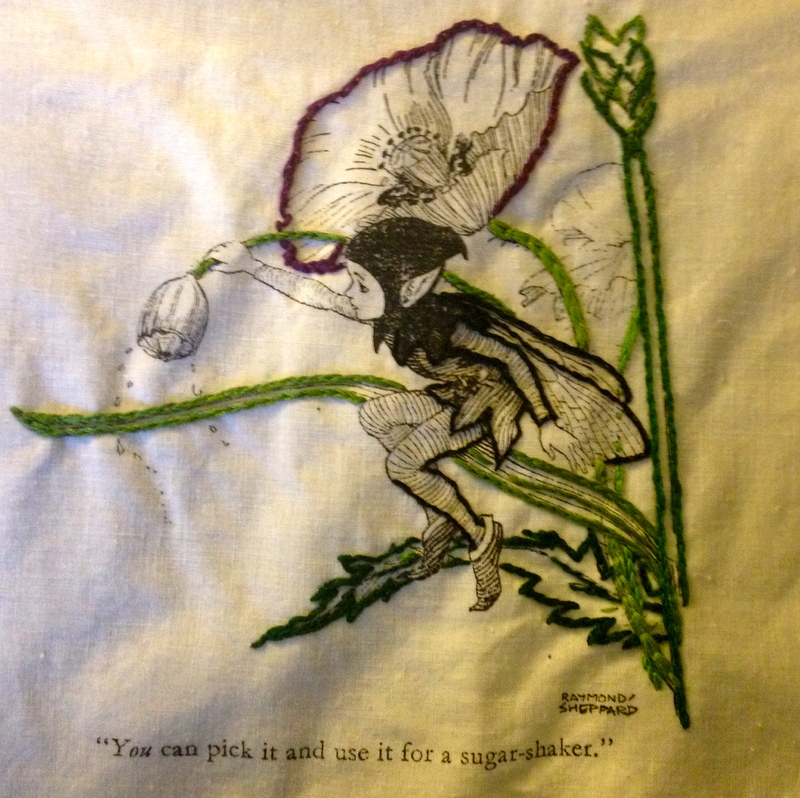 Long unfinished screenprint and embroidery project – finally done. Well, not finished here but somewhere I have a picture of it completed and framed. Screenprinted image is by Raymond Sheppard and comes from More Adventures of Pip, by Enid Blyton (1948). Ah, the end of the semester….freedom to toss all the books out the window, or to delve into the ones you’ve been dying to read but had to slot behind assigned reading lists. And these days, most of my academic reading is in the form of pdf or online journal articles anyway, so not that many actual books involved. Here’s an armful I took home from the library this week – left a few behind to spare my arms and back. 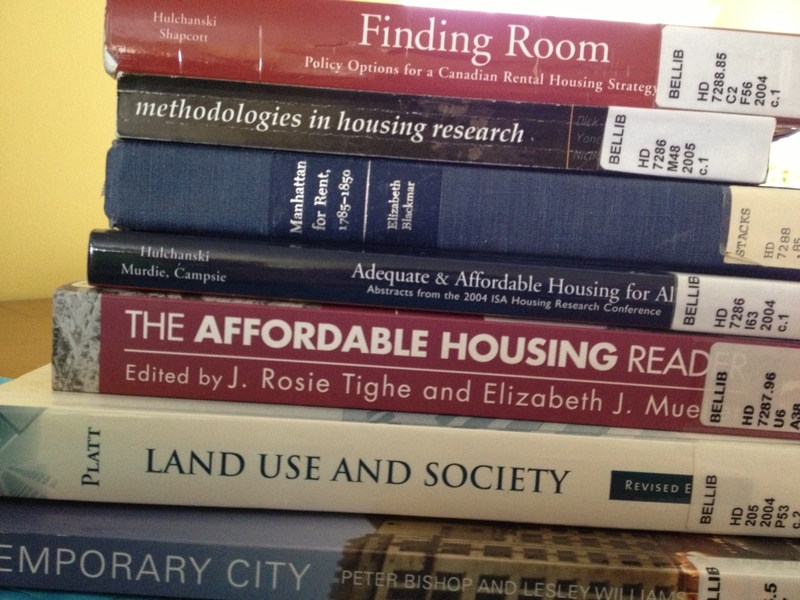 Methodologies in Housing Research, in particular, seems like it could be very useful for my thesis preparation and research. I’m really looking forward to Manhattan for Rent by Elizabeth Blackmar, whom I remember and admire from researching the history of Central Park for my history undergrad honours paper. Blackmar co-wrote The Park and the People, one of my favourite urban history books, with Roy Rosenzweig.